Before the next main Total War game hits in late 2018, The Creative Assembly will launch on April 19 the first title from its new Saga badge. 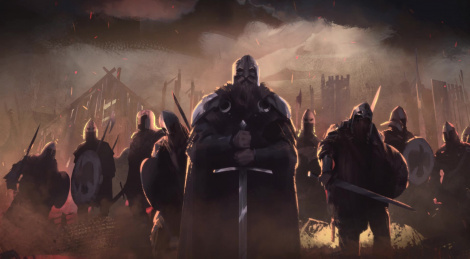 Instead of focusing on a whole historical era, A Total War Saga: Thrones of Britannia deals with a crucial moment/period, here King Alfred of Wessex and other ambitious kings. Pre-orders are live and the studio will donate 25% of their profit from every pre-sale to War Child UK. Recently, there's been quite a lot of interest on the Vikings/Britannia period. With TV shows like Vikings, The Last Kingdom, Britannia, etc. I hope more people get interested on this period of History, which was a great one. If this trend keeps up, hopefully, one day Ubisoft will decide to grace the world with a Vikings' themed Assassin's Creed - after a Feudal Japan or Three Kingdoms China one, of course. You mean like Rune? Which was way ahead of its time (even for the UT engine).